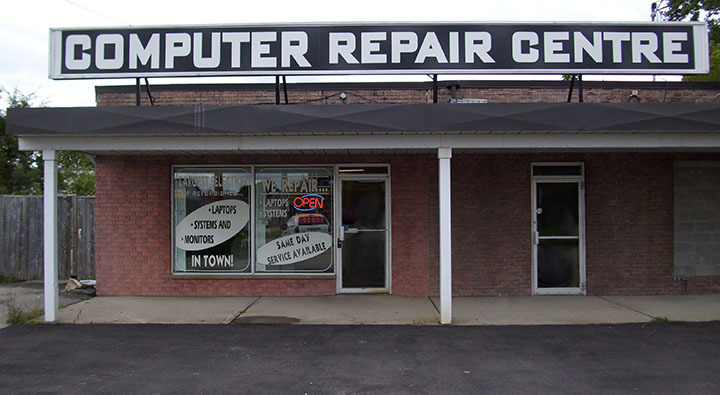 We are conveniently located on King George Road on the way to Wal-Mart. We are also located on 3 Brantford Transit routes. Buses #8, 4A and 4C all have stops near our store. Just get off the bus by Food Basics and look for us near the intersection. There is ample parking in our parking lot close to our front door. This can be very important, because a lot of our customers will be carrying in a fairly heavy personal computer.